Looking around you can easily find that apps are not there for one particular industry, but the whole world has come to an axis point, where the feathers of different industries are joined together by one string, and no prize for guessing that string or wire which is holding the neck of every industry is none other than a mobile app. A mobile app is indeed a mirror through which different sections of the business can peep into and can create a parallel universe full of better revenue and much broader business opportunities. Who doesn’t want to yield the profits from one’s business? Yes, I know the answer and it says EVERYONE!!!! And a mobile app is indeed a perfect way to help the app services to reach out to more number of customers and the users to take a hold on services as per their convenience. Mobile apps are the perfect example of convenience not just for the users but for the businesses as well, where both the parties involved can adhere a series of benefits to incur uncountable advantages. Well, it is a very common thought or maybe largely a misconception which floats in the market and suggests that why a business like a logistic requires an app because this business soul is always moving from one place to another…. But eventually, moving from one place to another is the major reason why logistic business requires an app. When you look closer than you realize that logistic industry is much wider than what it seems to be and the constant growth of other industries has spiked the growth of logistic industry much much wider. In such scenario keeping up a track on the deliveries and the orders has crossed the manual details filing and needs a much controlled and manageable mechanism, which can only be served by a mobile app. Visualize a situation where one of your customers is expecting an order, but it is taking much longer time than expected, and your driver’s num is also unreachable, in such case what would be the first thing that would you do? You might wait for those stressful hours waiting for a nod from your driver and pray that everything falls fit.But why to take the stress, when you can easily control this situation with an app…Yes, an app allows you to track down the location of the vehicle with the help of GPS technology and the cellular tracing in the event of no network coverage and helps you get the real-time location of your vehicle with just a tap on the app. Your customers can be from any part of the world, and if you want to expand your business’s presence on the world map then you need to remain accessible to any customer at any point of time. With a mobile app, your customers can avail their set of required services with just a tap on their mobile phone and schedule the appointment for the delivery of the goods. The chaos created by the numerous vehicles on the road leads to traffic jam now and then, which generally delays the delivery of a consignment, but with a mobile app, you can easily analyze the traffic on the roads, and accordingly plan the trip, so your customer would receive the package without any hassle. The Fleet management tool in the logistic mobile app gives the full authority to you to manage and improve the performance of your fleet. There are situations where your vehicle breaks down, so the mobile app helps drivers to signal their staff about any issue, this would also help in calculating the productive hours at work, where the logistic head can check anytime the loss of work hours and take action if need be. 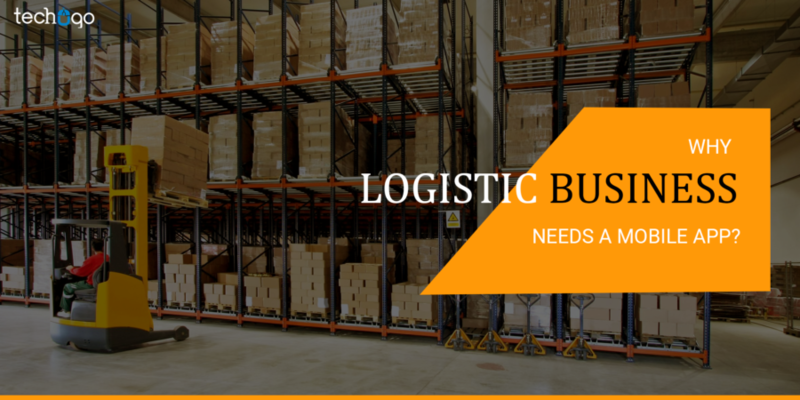 A warehouse is a significant element of a logistics company, because this is the place where all the inventories, products and other materials are stored, before getting them dispatched to their concerning location. With an app, you reduce your efforts by cutting the pain of managing data on paper, and it can easily be stored in app’s database and the warehouse manager can easily track down the stock and the dispatched articles for creating the smooth passage for impeccable user experience. Last but not the least, do not pick any random app development company to handle your logistics app development requirements, because an app development company with no experience and technical exposure is a valley of death for your mobile app…so it is highly recommended to pick a leading mobile app development company for your mobile app and help it become a successful venture for your business.